With the snap general election just behind us, and Brexit negotiations about to start, the subject of democracy couldn’t be more relevant. In fact, with the current climate of political uncertainty, there’s never been a more pressing time to teach our children about the values of democracy. When kids ask ‘what’s the point in voting?’ or say ‘they don’t understand’ it’s important we teach them what is at stake. Spouting your personal political views to youngsters isn’t the answer. Teaching the values of democracy is. Understanding the voting process and hearing different views will give children a snapshot of what democracy and electoral voting is all about. A referendum on school uniform changes, or one of the school rules will give youngsters some idea about the power of their voice and their vote. In the classroom, you could run a referendum on a fictitious topic or debate a current social policy relevant to school. What about the free school meals policy? 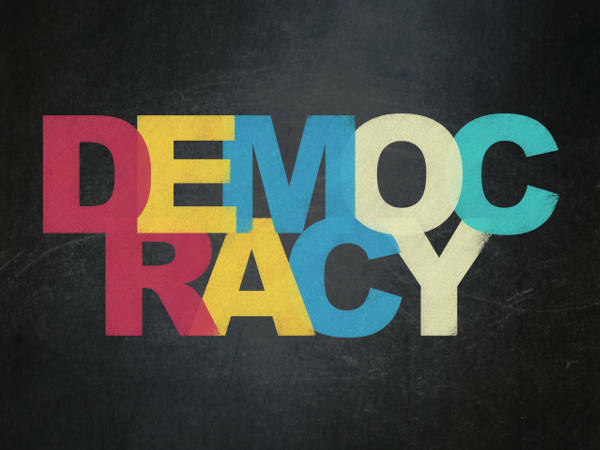 Discussions around ‘what is the point of democracy?’ and ‘what would happen without democracy’ are suitable topics for older primary aged children. Debating and discussing current affairs in an age appropriate format is key. The Burnet News Club, named after Sir Alastair Burnet, is a network of school news clubs offering support in current affairs. The club’s focus is on developing a particular set of thinking skills for forming independent opinions and enabling sound and persuasive argument. Club members have access to current affairs content written for young people (aged 8 and upwards) by The Economist. What your MP can bring to your classroom will depend on their personality. The main aim should be to show the human side of politicians and create an engaging and interactive forum for pupils to ask questions about local and national politics and social policies. The primary starting place for teaching about democracy is to give your students a voice. While the school curriculum covers much of the academic work required for pupils to succeed, the teaching of how our young people are to become active, responsible, informed citizens in a democracy doesn’t get enough air-time, despite the fact that the teaching of democracy is a stated goal for most schools. Students do require teaching to fully understand and appreciate the democratic process and why we need to protect it. Using debate in the classroom teaches children that they have a voice and are allowed to express their opinion. Parliament’s teaching resources offers a debating pack for age 7 -11 year olds. Our young people are the future. They deserve our investment.